Featuring the first marine terminal on the Savannah River, the SeaPoint Industrial Terminal Complex designated as a Georgia Brownfields site, offers a full range of industrial services and infrastructure that makes it unique in the Eastern U.S. SeaPoint Industrial Terminal Complex will be built on the site of the former Tronox titanium dioxide (TiO2) plant and municipal landfill, and is currently being developed as an innovative deep water multi-tenant site. Dulany Industries (Dulany), the purchaser/developer, contracted with Terracon to implement the prospective purchaser’s Georgia Brownfields $38 million Corrective Action Plan (CAP) over a six-year period. This unique remediation site encompasses 1,570 acres, with 1,010 acres of wetlands and 560 acres of uplands. Initial construction of the former titanium dioxide plant began in 1952. 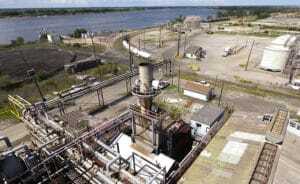 Portions of the site were used as a municipal solid waste incinerator, gas separation plant, sulfuric acid plant, gypsum plant, municipal landfill (from 1921), and water treatment chemical manufacturing facility. With the exception of an acid plant, site operations ceased in 2009. Contaminants of concern in soil and groundwater include TCE, PCBs, dioxins, volatile and semi-volatile organic compounds, and RCRA metals. To enter the Brownfields Program, Dulany conducted a complete RCRA Facility Investigation (RFI) and submitted the CAP to Georgia Environmental Protection Division for approval. Terracon is serving as the primary environmental consultant and contractor for the investigation, remediation, and CAP documentation. Cleanup activities include excavation of contaminated material from drainage ditches, uplands and wetlands, marshland remediation of contaminants and waste material, consolidating contaminated titanium dioxide waste and dredge spoils materials, designing and constructing a new waste water treatment pond, excavation and offsite disposal of contaminated “hot spots,” as well as the design and construction of solid waste cap systems of inactive and active waste ponds. Most of the remediation activities involves work in areas along the marsh and river with extremely soft soils, high groundwater table and soft waste material, making remediation activities challenging and time- consuming. Approximately 2 million yards of material will ultimately be excavated, consolidated, hauled off site, or capped. Corrective Action Plan (CAP) implementation requires the full-time oversight and direction of a team of Terracon professionals and several subcontractors, depending on the complexity of the remediation tasks. Terracon is also performing geotechnical investigations for potential tenant buildouts, as well as materials testing as construction begins for the incoming industries. 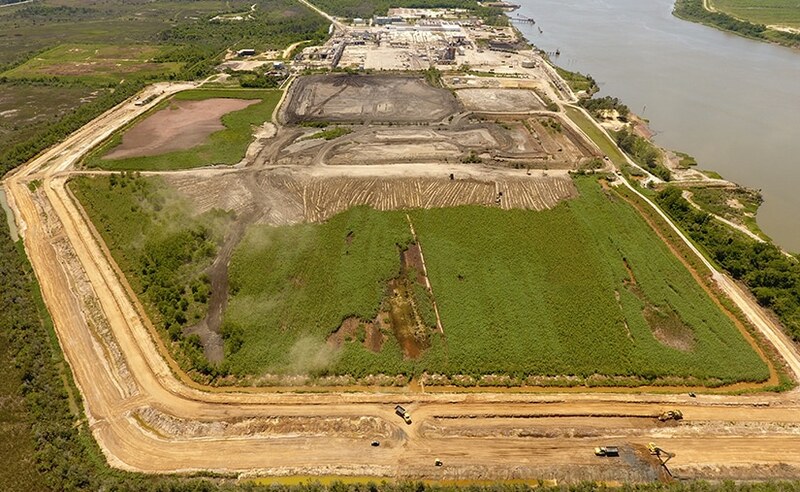 In addition to SeaPoint, Terracon serves as the lead environmental and geotechnical engineering consulting firm for Dulany’s other industrial properties located in the southeast. More than 1 mile of deep water river front developable property. Finished redeveloped complex will have 375 net acres that will be divided into various sized parcels. Multi-tenant use focusing on industrial, high-tech, and diversified manufacturing companies. Bill Anderson, III, P.E., is a senior principal and office manager in Terracon’s Savannah, Ga. office. He has 33 years of experience in environmental consulting and specializes in environmental site assessments, remediation, and environmental compliance.